Blocking Strategies for Westerns - Advansta Inc.
Everyone knows that the best offense is a good defense. So how do you defend your Western blot against background and non-specific binding? The best strategy ensures that your membrane is sufficiently blocked and your target’s epitopes are not masked. With so many different reagents to choose from it can be a daunting task to choose the one that is right for your protein. After proteins are separated by SDS-PAGE they are transferred to a membrane that has a high affinity for protein. If the membrane isn’t blocked properly, the antibodies used in your Western, which are also proteins, will bind non-specifically to your blot. This results in a messy blot that is confusing and difficult to interpret. On the other hand, if you use the wrong blocking agent or the right one at too high a concentration, your sensitivity will suffer as the epitopes on your target will be masked. The effect of blocking agent on sensitivity and specificity can be seen in Figure 1. Figure 1. 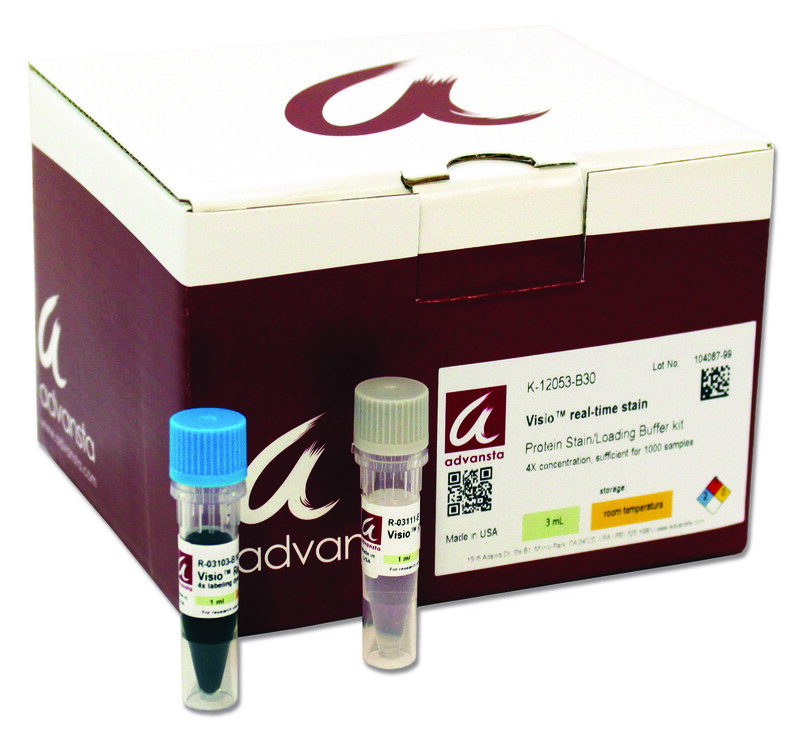 The appearance of non-specific bands on the Western blot is reduced with AdvanBlock™-chemi, while the specific signal is enhanced compared to three traditional buffers. HeLa whole cell lysates were subjected to Western blotting with an anti-phospho-STAT3 antibody. When selecting your blocking agent it is important to consider the quality and species of your antibody, the properties of your protein and the detection system that you are using. Here are some commonly used blocking reagents and guidance on how to use them successfully. This is the most widely used reagent since it is convenient and cheap. NFDM is usually used at a concentration of 1-5% in a PBST or TBST buffer. Most of the time this is a great option but sometimes NFDM can mask your target or interfere with phosphoprotein detection since it contains endogenous phosphoproteins. Unfiltered solutions may also cause undesirable speckles on you blot. Albumin purified from bovine serum is another popular choice. 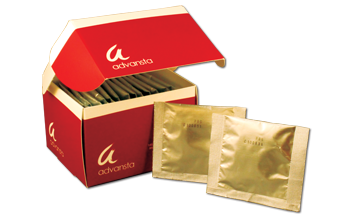 It is typically used at concentrations between 1-5%. It is common to optimize this reagent to use as little as possible as it is significantly more expensive than NFDM. BSA is preferred for detection of phosphoproteins but depending on purity it may contain residual IgG and serum proteins that result in non-specific binding. Serum contains a mixture of proteins that may be used to block your membrane. Serum is typically used at concentrations between 1-10%. Selection of the type of serum is important to prevent interactions with the primary or secondary antibodies and the sample being tested. For example, goat serum would not be advised as a blocking reagent for use with a goat-derived primary or secondary antibody. Like BSA, serum is expensive and may contain IgG and serum proteins that result in non-specific binding. Fish gelatin is purified from the skin of cold-water fish and has the practical advantage of remaining liquid even at cold temperatures. It is used at concentrations ranging from 0.1-5%. Unlike BSA or serum, fish gelatin doesn’t contain serum proteins that can cross-react with antibodies. Unfortunately, fish gelatin contains biotin so it is not compatible with biotin detection systems. Casein is a purified milk protein that is often used at concentrations between 1-5%. Casein is a cheaper alternative to BSA but since it is purified from milk it may also interfere with phosphoprotein detection. PVP is a protein-free alternative to the traditional blocking buffers. PVP is a water-soluble polymer that readily binds to both nitrocellulose and PVDF membranes. PVP is generally used at concentrations between 0.5-2% and is ideal for eliminating cross-reactivity associated with protein blocking buffers. If choosing a great blocking buffer sounds a bit too overwhelming, another option is to choose a commercial buffer such as AdvanBlock™-Chemi. Selecting a commercial buffer will save precious time and will have the added benefit of being more consistent than your homebrew. AdvanBlock™-Chemi is a novel blocking solution, optimized to enhance specific antibody-antigen interactions for chemiluminescent Westerns. This all-in-one blocking and antibody incubation solution is designed to improve sensitivity and decrease overall background. Non-specific binding caused by low quality antibodies is reduced while signal from the specific antibody-antigen complex is stabilized and enhanced.